Sacramento, California. October 22, 2012. The California Public Employees’ Retirement System (CalPERS) Pension System Recovery Plan (PSR) project team is one of ten select federal, state & local government IT teams in the nation to win the GCN Award for IT Achievement for which they be honored at a the GCN Awards Gala in Washington, D.C. on October 24th. 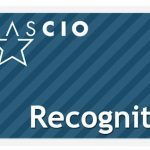 Delegata, a leading Sacramento-based management and technology consulting firm is delighted with this recognition and award for its long-time client and partner in this project. CalPERS is the largest pension program in the nation with assets of approximately $235 billion. The award-winning Pension System Resumption (PSR) project represented a $500 million Retirement and Health system modernization initiative to launch the new self-serve web-based my|CalPERS application. The my|CalPERS application replaced over 109 siloed and often antiquated and error prone systems that lacked centralization and self-service capabilities. Today, my|CalPERS enables more than 3,000 employers and 1.6 million public employees to quickly and easily access and manage their own retirement and health benefits online. “The PSR project is one of the largest initiatives of its kind in our industry and I was honored to work with extraordinary teams to achieve a successful end result,” stated Karen Ruiz, CalPERS PSR Project Director. Delegata and CalPERS have a long history of successful partnerships. On the PSR project, Delegata was contracted by CalPERS to lead the Project Office (PO) and facilitate Business Partner Interfaces. Using an innovative, agile, holistic, metrics driven approach and its Diamond Enterprise Methodologies and knowledge of project management and interfaces, Delegata worked to unify and manage a complex set of stakeholders to deliver this high profile project to the finish line successfully. “Delegata is very proud of the achievements gained for California through our long-standing partnership with CalPERS,” stated Kais Menoufy, Delegata President and CEO.